"disappointed with service at Nausori"
✅ Trip Verified | Suva to Nadi. As a frequent flyer with Fiji Link am disappointed with the level of service at Nausori Airport. I was due to fly FJ24 but due to issues with the aircraft they had to downgrade the aircraft to an ATR42 which meant at least 20 pax had to be offloaded. They were seeking volunteers, I happily volunteered. I was given a hotel which was pathetic but that is another story. The next day, I was told my pickup will be at 5.15 from the hotel. 2 taxis came, took other passengers that were assigned to them and left. I was waiting with two other guys, finally a taxi came I asked the driver about my pickup the driver said he was not aware. He called Fiji Airways and spoke to the rep and her reply was "I don't know about any Avneel or whoever he is" much to my shock. Mind you the phone was on speaker and I could hear what she said. The two guys offered me a lift, when I got to the airport the rep responsible for arranging taxi started pushing the blame to the manager from last night rather than apologising. When I requested the check-in staff for a window seat she rudely said "there is only one seat left". I have always had issues at Nausori, never at Nadi or Labasa or other airports I have traveled with Fj. 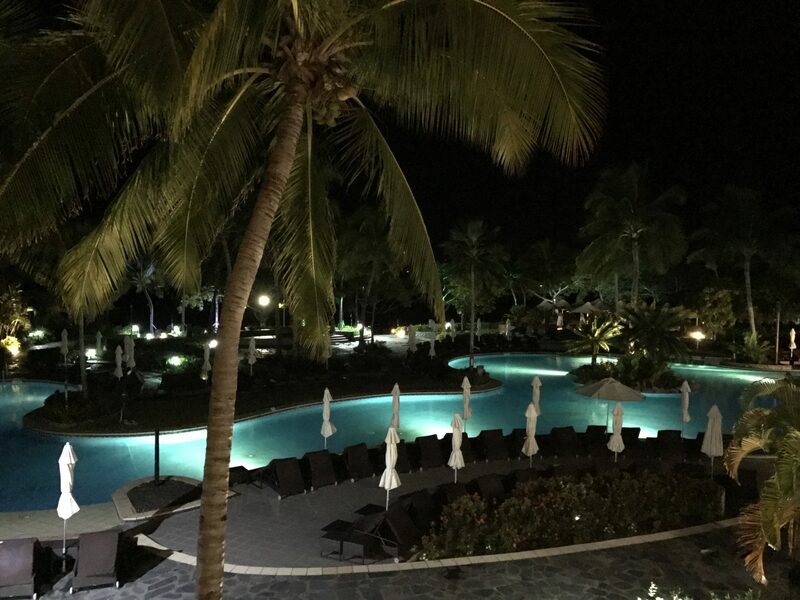 ✅ Trip Verified | Los Angeles to Nadi. Great airline! From the moment I stepped on board to the moment I left the arrival gate I felt safe, secure and well taken care of. The seats were very comfortable and had lots of leg room, the inflight entertainment varied from movies to video games which was very fun, and the inflight food was included in the flights cost and was quite delicious, served at very appropriate times, and the portion was filling. Staff were friendly and attentive! ✅ Trip Verified | Labasa to Nadi. Our flight got cancelled on the 5th of Jan from Labasa to Nadi due to bad weather. We made about 30 phone calls to Fiji Link both in Suva and Nadi. Each time a different story was told. Absolutely no help has been provided. We were meant to be back at work today. It's 3 days now. We asked Fiji Link to give us a date when we could travel back to Brisbane so that we can inform work. Fiji link failed to do that as well. No supplimentary flights have been arranged,we have not received a single phone call,text or email to say they are making arrangements to fly us out ASAP. We even went down to the local airport only to find locals travelling out of the Island. How about those who are visitors here and have to return to work and attend to medical appointments?They fail to answer questions and are not supportive at all. ✅ Trip Verified | Terrible service. Flights to and from Singapore cancelled with no notice. Worst customer service I’ve ever seen. No care given to the passenger throughout. Cancelled flights at last minute are the normal thing for this airline. Check online to see how many are cancelled. Warning do not fly with Fiji Airways if you want to have a holiday or business trip that is on time. Terrible, terrible service. Worst ever airline. Old planes also. "is a delay of 24 hrs"
✅ Trip Verified | Had a flight from Singapore to Nadi and 3,5 hrs before departure get an email that there is a delay of 24hrs. Long time on the phone, line was several time interrupted. No offer how to help staying overnight in Singapore or how to help with the cancellation of the non-refundable hotel on Fiji. 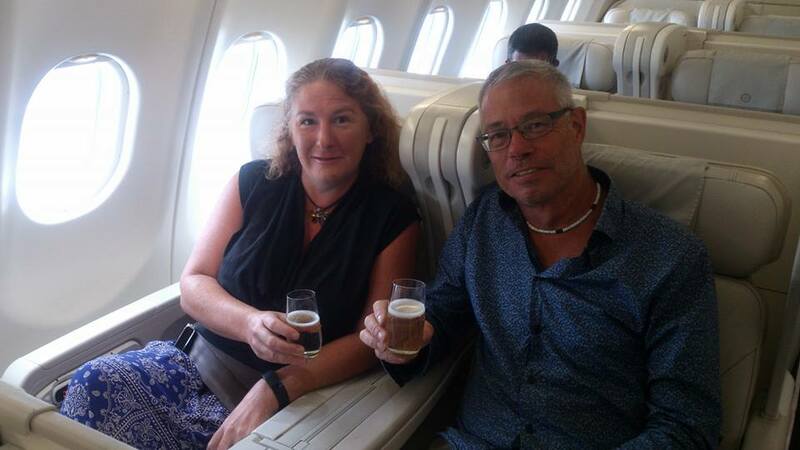 For problems caused for the customer Fiji Airways does not care. ✅ Trip Verified | Nadi to Adelaide. Ground service very good, very fast check in. Business class lounge was new, nicely decorated and well stocked with food/snacks, drinks and newspapers. Only thing: loud music. Flight: a very tired and old plane, seats very uncomfortable for a 6 hours flight. Seat controls did not work properly. Personal space was pretty cramped; sleeping impossible. Blanket an small pillow were provided. No amenity kit. Service was OK, nothing special, the same for food. Very small portions and service was over within les than 1 hour after take-off. We had expected more reading other reviews. That this flight is a direct one is a plus, however for better seats and service I would not mind a stop. 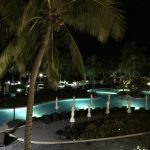 "very relaxing way of traveling"
✅ Trip Verified | We flew Brisbane to Honolulu return, stopping over in Fiji for a couple of days on both the outbound and return trips, and were quite happy with the service and comfort. The aircraft comprised B737-800 between Brisbane and Nadi and the slightly smaller B737-700 between Nadi and Honolulu. 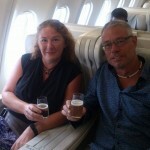 The Brisbane to Nadi flight was almost full, although we were lucky enough to score an empty seat between us. 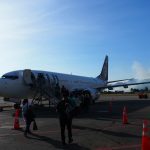 The Nadi-Honolulu flights stopped over briefly in Apia, Samoa on the way over and in Christmas Island, Kiribati on the way back. The Nadi to Apia leg of the outbound flight to Honolulu was totally full as was the Nadi to Brisbane return flight. However, the Apia to Honolulu and Honolulu to Nadi flights were both less than half full, so we had plenty of room to spread out. All flights departed on time and arrived early. There is not much in the way of in-flight entertainment on these older 737s, with their small retractable overhead screens, but apparently, Fiji Airways will soon be taking delivery of the first of their new 737MAX aircraft to be used on these routes, and these planes will have individual TV screens. We found the service to be quite friendly and relaxed and the food and drinks offered were more than adequate. As they say at the end of their safety briefings, welcome to Fiji time! Our only real criticism was a very hard landing in Brisbane at the end of the trip. However, overall we found this to be a very relaxing way of traveling between Brisbane and Honolulu. "could not answer any questions"
✅ Trip Verified | We were told there would be a one hour delay for 9 pm departure. At the end of that 1 hour we were told there be another hour delay. At the end of that hour we were told there would be another hour delay because we were changing planes. We received only 1 communication per hour and no explanation until the last announcement. When finally boarding we were told that due to the late nature of our flight that their own booking people would be re-booking all of our connecting flights for us and they would be waiting at the gate in LA with our new flights and boarding passes. That was a lie, it did not happen. All of us ended up having to go through re-booking in LA after exiting customs and security and nobody from Fiji Airways in LA had any idea why we were there. Most of our connecting flights were all missed and we were on our own booking connecting flights with 2 overwhelmed Fiji Air people. At every point where they said they would have things fixed for us, they lied. Their gate staff at Nadi were completely clueless and could not answer any questions! ✅ Trip Verified | Nadi to Los Angeles. 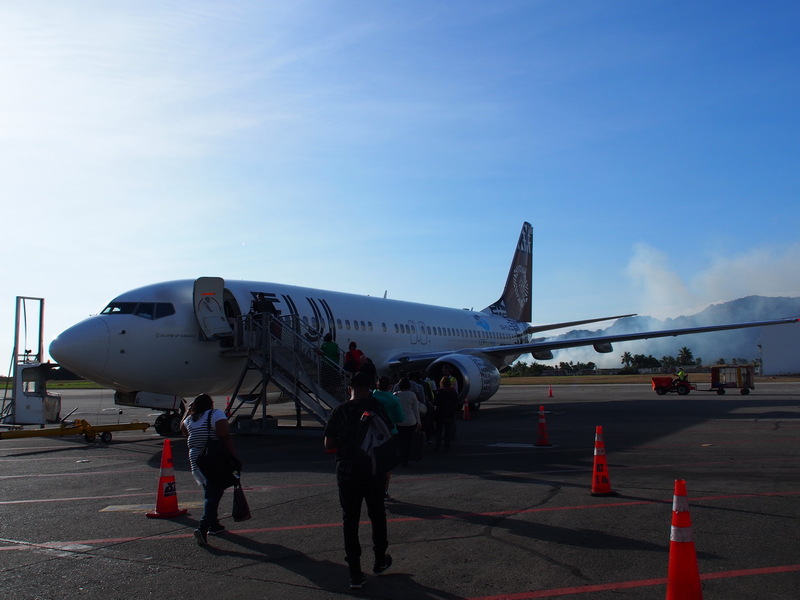 This was my second time flying on Fiji Airways, the first time being a few hours earlier when I flew from Brisbane to Nadi. This was a relatively long flight (nearly 11 hours) so I expected a different level of service and comfort and I was not disappointed. The flight crew, including pilots, were polite, courteous and service oriented. We were greeted with a warm "Bula" (hello) and a smile. The staff were great. For business class, I thought the cabin was a bit cramped (2-2-2 configuration) but the seats were comfortable and I was quite comfortable while sleeping. We were given a large pillow, a duvet and a blanket - more than adequate for comfort. I found the food on the flight to be better than average but not outstanding but then again the price point of Fiji Airways is very reasonable and thus this was not unexpected. The amenity kit offered was different in that it featured a hydrating mist in addition to the usual moisturizing cream, ear plus, socks, eye mask, etc. I found that to be a really nice touch and I must say that the scent of the moisturizer was wonderful. When given the chance, I will fly Fiji Airways again.